​Every year Catholic Cemeteries & Funeral Services - Archdiocese of Toronto invites the faithful to gather in prayer for their loved ones and all those who rest in our cemeteries with the celebration of the Eucharist. In the event of rain: Mass will be held in the mausoleum buildlings at Assumption, Holy Cross, Queen of Heaven and Resurrection. Mount Hope to St. Monica's Parish, 44 Broadway Ave., Toronto. 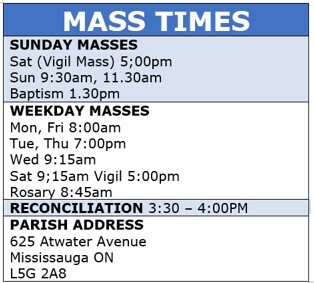 St. Mary's to St. John Vianney, 13 Baldwin Lane, Barrie. Christ the King will celebrate Mass on site in the Reception Centre. If you wish to concelebrate at any of these Masses, please be at the cemetery office by 6:30 p.m. We ask that you bring your own alb and white stole. 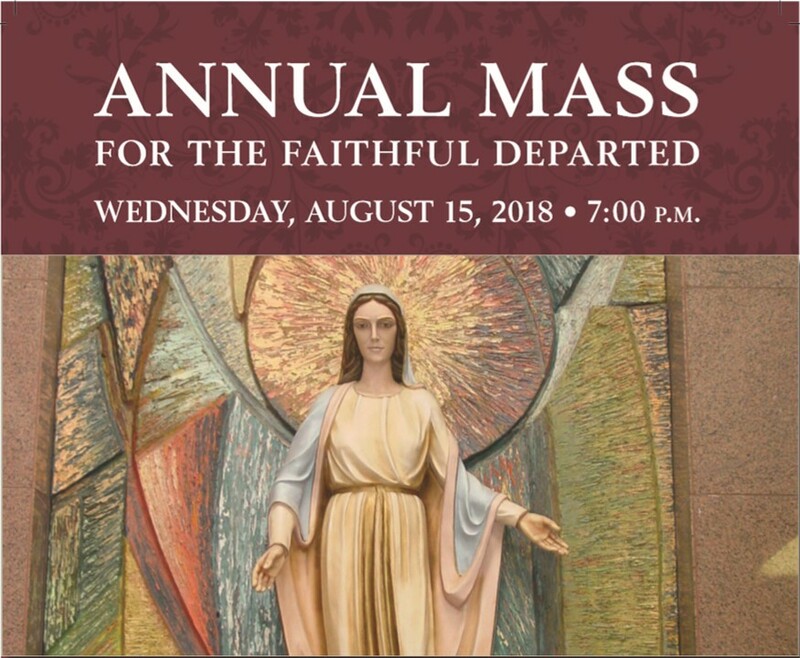 Please place the Mass date in your parish announcements and encourage your parishioners to attend and pray for the deceased. Your support is greatly appreciated.